"I would like to thank you for the professional manner in which you have handled the case and would have no hesitation in using your services again"
"I would like to thank you, you have been the star of the show and I would have been lost without you. I feel like I am loosing a friend and would like to give you a big hug. I am sure you have loads more people who need your sound advice and support. So I hand you over to all those people who are lost and need your help." "I have finally received the payment. Many, many thanks for all your help!" "The cheque has cleared! Thanks for all your help and guidance through the process." "We got there in the end and thank you so very much for your support throughout. It has been a real eye opener every step of the way." "I must thank you for your assistance in this case. The case is now closed, with the usual confidentiality clause, which ties my hands as to what I can say. 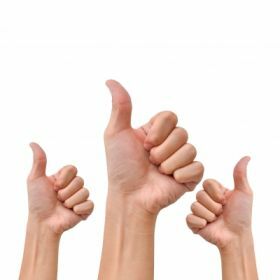 Once again thank you for your help"
"Your service and response is highly commendable and I would be happy to recommend you and use you again"
"They sent me all the money we agreed. It is a great news. I am very glad. Thank you. I would never done it without your help and support. Thank you so much. " "Thank you for being there"
"I wish to thank you for all your support in this case and all the effort you put into it. Your support and leadership has been outstanding and without that I would have walked away with nothing." "Amazingly they actually settled - not quite the full amount but given I was expecting zero, far more than I'd hoped. Please stop any further enforcement and Thanks a bunch!" "The cheque has cleared. A great result. Thank you so much for all the help. Such a great and easy process due to your support. I am very grateful." "You are amazing, cannot fault the service, thank you"
"Many thanks for all your help and advice. This system is very good and I couldn't have done it without your knowledge and experience." "We have the funds! Thank you Thank you Thank you!" "You are amazing, cannot fault the service, thank you." "I was just checking my bank account and found the full amount has been put into my account! Thank you for all you have done by being there to guide me through my case." "I pass on my gratitude for your efforts in bringing about a satisfactory outcome in what turned out to be a very protracted, contentious and complicated case." "I wish to convey my sincere appreciation for your application and professional acumen to this case. I will not hesitate in recommending MoneyClaimsUK to any of my contacts who may need your excellent service." "After a long struggle we are satisfied with the outcome. Thank you for your support throughout ... your help has been invaluable." "Without the help from you, I would never have been able to see my case through to the end. You made everything so easy and explained what was happening in simple terms. I really can't thank you enough; without your help, I would have given up months ago!" "THANK YOU so very much for all your guidance through this ordeal. I appreciate very much that I had someone to support me over this past year. You said in the first contact we had that I was not alone and would always have someone with me through my case. I would like to thank you for the support you gave me. Also for always explaining any questions I asked no matter how trivial they may have been." "I would like to thank you for your advice and support during this process which I would have found very difficult without your guidance." "Just to let you know I've been paid into my account! Thank you VERY much for all your help." "Just got back, the cheque was awaiting for us on the door mat, so it's GOOD news, now we can get on with putting things right. Thank you so much for your help." "We have won at last! When the cheque arrives I will notify the Court that the matter has been settled. One again, a tremendous vote of thanks for all you have done. " "Thank you so much for all your help with this case, and shall definitely use you in the future if needed. Thank you again." "I can't begin to tell you how grateful I am for all your work and patience that has resulted in their capitulation, thank you so much. " "Thank you again for all of your help, it was reassuring to have someone there." "Once again, thanks for everything, you have been amazing"
"We all wanted to say a BIG THANK YOU for all your help. " "I want to say how very much we all here appreciate the incredible service you have provided. I've seen the testimonials on the website and they are all triumphant because they won their cases. But in that 'real' world we all occupy right and justice don't always prevail. Sometimes the 'good guy' doesn't win. My point is that - should we not succeed here (we presume nothing), that will, in no way negate the high regard we have for the guidance and support we have received from you. Thank you again. " "I WON THE CASE!!!!!!!!!!!! I'm really pleased with the outcome and can't thank you enough for all your help, guidance and support. I can honestly say, 'pound for pound' it's the best money I've ever spent! Thanks again." "Pleased to say we won the case, would like to thank you for all your help and guidance. Thank you once again. " "As if by magic our postman delivered the cheque at 10.15. Well, that's that then! I must say I am very glad it's all over and we can put it behind us. Thank you so, so much for your help and support throughout the whole process. Your help has been amazing." "The money has gone in wahoo! THANK YOU"
"I cannot thank Money Claims UK enough for looking after both my wife and I through a very frustrating and difficult time. The service and support we received meant we felt confident to go all the way with our claim; and thanks to the help and guidance we received we have now settled out of court and recovered our money. From a very happy and satisfied client." "cheque has cleared! thank you so much for all off your help with everything I really appreciate it "
"This case could never have been won without your invaluable help, advice, kind words of comfort and encouragement. A great Big THANK YOU." "I would like to take this opportunity to thank you for all your support and advice along the course of my case. I feel without this I would not have had a favourable outcome. I was sorry I did not have the opportunity to meet you as you projected a very caring and genuine manner in our phone conversations, but I am so pleased that we didn't have to take it to court. Thank you again for everything." "Thank you so much, you have been an amazing help!" "Thanks very much for everything. It really is reassuring when you have someone working with you who knows what they are doing." "THANK YOU! I'm glad I persevered although don't know what I would have done without your help and sound advice"
"The payment has now cleared in my bank account which finalizes my claim. Thank you for your excellent service and support throughout my claim." "We are so very, extremely, appreciative of the support and guidance (and time) you have continually given to us. "I could not have done it without you. Your service is unbelievable, the time you put into this and the effort you made, I just can't thank you enough." "They have paid the £25k including VAT which we are happy with, so all resolved successfully. A great result! Thank you for your assistance! We are very happy." "Would it be possible for my partner to call you at some point regarding a different matter? I would really like it if you could assist as the process for this claim has gone so smoothly with you." "I really appreciate everything you have done .Without your professional experience and calmness she would have eaten me alive. I have the moral satisfaction of the court judgement and I have her deposit. "Today I had the hearing for the claim and the counter-claim and the court decided in favour of me. Thank you very much for all your help and support. Your service is priceless!!!!" "I have received a cheque in the amount agreed. Thank you for all your hard work and help in guiding me through this process - I can hardly believe that we have finally gotten to a point of resolution! Thanks again!" "Cheque has cleared! Thank you very much for your help, you have been superb. "I'm very happy :-) thank you SO much." "What a joy and feeling of relief it was to find someone who could guide me through the mind boggling legal process of getting justice. I had a claim against a large company for failure to provide good mechanical services and they were adamant they were not in the wrong. I was adamant they were. The help and support I got from MoneyClaims could not have been better. I spoke to the same person every time and was provided with solid advice and guidance. In the end I got my settlement. Many many thanks to the team at MoneyClaims." "sometimes all a person needs, is a hand to hold, and a heart to understand"
"I want to thank you most sincerely for all the help, assistance and solid advice you have provided. "The debt has been repaid in full and funds cleared, stop the bus!" "We agreed settlement. Lesson learnt that I did not have Terms agreed so knocked off late payment charge of £100. Thank you very much for all your hard work!" "Thank you very much you're a star!!" "Thank you for your fast response if you wouldn't mind refunding me please and I will try another avenue to try and get justice once again thank-you for your honesty"
"This is a great service. I'm so pleased that you do this, because it was too daunting for me to get started before!" "Yipee they paid all monies yesterday. Thank you for all your help during a very stressful time. Not sure if we would have got through next couple of months financially if not for payment, it was really needed. Once again a big thank you." "Eureka!!!! they have decided to settle. doubt I would have had the will to go on. I believe I shall sleep very well tonight, your fantastic!!" "Many thanks for all your help. I was very happy with the service you gave me, and it was excellent value for money. I will definitley recommend you to all friends and colleagues. Thanks again"
"Thank you for everything you have done. You are a star!" "its cleared! thank you so much - glad you was there for me"
"Thanks you very much for all your help, you have been very helpful. I will recommend and have recommended you to my friend who also need help in similar matter"
"Thank you so much for all you're help, you made what could have been a horrible situation go nice and smoothly, you've been great, I really appreciate all your help"
"We have received payment in full into our account. Please accept my unqualified thanks for the way you have assisted me. I can only recommend your services in future unreservedly. Highest regards"
"Thank you very much for your fantastic service, one which I cannot recommend enough and which I shall certainly pass on to anybody I know who needs it. You fill a much needed niche to allow the public to access the court system without the prohibitive cost of legal fees." "I didn't know of your website and services until very recently - so glad there is such support for people stuck in situations like mine from wonderful people like you"
"We really do appreciate your help and wouldn't hesitate in recommending you. you could help me too?" "Good news they agreed to repay the money by electronic transfer, I have just checked and it is now in my bank!" "Thank you again, it is so good to have your support and guidance, wish I'd taken this action months ago." "The client has now paid. Please stop the claim. Thanks for all your help. "Hi, just checked and the money is there. Much Thanks"
"thank you and I must say you have been extremely helpful throughout this whole process"
May I thank you for your assistance with my claim, I would not hesitate in using your companies services in the future." "Many thanks, the letter this morning obviously prompted payment! Thank you"
"Today I received a cheque in the post. I started out trying to do this on my own but made little progress. Paying for your help was the "game changer" and even if I had lost I would have recommend your company to anyone contemplating legal action through the small claims court. I am happy to post a five star positive review on any comparative website that you suggest. I will donate £250.00 to the Red Cross. "The money has cleared and is now in my bank. "Thanks xxxx, you have been an absolute legend"
"A totally amazing service. ..... is the most professional and supportive adviser that I have ever experienced. I would not hesitate to recommend"
"Again, many, many thanks for not only providing me with such an excellent service but also for being so kind and supportive." "I have today received a cheque for £638.70, I can only assume that is down to you, so thank you very much for a quick and easy service. I will be using you again should the need arise." "I hope you're sitting down.... I received a cheque this morning. Thank you so much for all your help you are a diamond"
"Just wanted to let you know I wish to stop the action for this claim. I have had a big chunk of the money paid to me this week and the rest to follow shortly. Thanks for your help with this." "Your expertise and effort have been exemplary and I am more than happy to accept your advice with regard to generating the court claim"
"Thank you so much for all your efforts. I attribute this result to your expertise. The support you gave also helped lift me through this ordeal. Whether or not the defendant defaults, I now will remain heartened." "What a fantastic service this is and how quick!" "I received the letter from the High Court Enforcement Officer today. I hope that they will be sucessful! Thank you for your help and fast action!" "Thank you for an absolutely outstanding level of service." "I have decided not to persu, I would like to say tho, that your level of service has been outstanding and you are a credit to your company. Thank you for your guidance and efforts." "never had to go through all this before,to be honest - with out you helping I would of just give up by now, so thank you very much for your work, to me your going beyond your call of duty." "I wish I had found this company earlier!" "Last week the conditions of the offer that I had accepted were fulfilled, thankyou"
"In relation to the claim we have receive a cheque today for £1665.00 Kind regards"
"yes they paid! I have another company I run and we have a series of slow payers there. I will create an account and start 6 or 7 letter processes off with you"
"they finally paid the debt that had been agreed so all is well. Thank you for all your help and I will keep your details on file for the future." "you have been more help to us in the short period that we have known you than our no-win no-fee service was in two and a half years"
"Thank you for all the hard work that you have done for us and the great help that you have been to us. Without your help I think that we would have lost heart and this bandit would have just been able to walk away and laugh in our face." "Yes to the settlement offer you put on!" "Thanks for all you help and support as ever...."
"have received a cheque today. I have deposited the cheque this morning in my bank. "Thank you SO MUCH!!!! honestly this puts me at ease to know someone understands where i am coming from! sam"
"Just got back and very happy and pleased to say it all went well and the set aside was refused. We were fully prepared with all our evidence and from the very first moment the Judge questioned the defendant you could tell what the result was going to be. May I take this opportunity in thanking you for your excellent service and will recommend you to everyone and certainly will be back in contact if or when anything like this occurs again. I was so nervous sitting in the waiting room but kept calm, told just the facts and presented the case very well." "I called the bank in the morning and the cheque is cleared in my account. Thanks for all your help regarding this matter and to solve the problems I have faced." "I have recommended your services to my Brother. He is registering with you now and has a pre-actionADR to file! " "I haven't met you but you are great!" "Many thanks for your advice, its really appreciated. I will recommend you to my contacts when they require money claim support"
"Hi, I can't thank you enough for your advise. I will read through several times to digest and formulate a plan of action. Thanks again." "Many thanks for your support throughout the process (and a positive outcome always helps). In these situations the help is priceless. I have recommended your services"